AVAILABLE NOW from http://www.babysongsandlullabies.com as well as http://itunes.apple.com/gb/album/lullaby/id565938063?uo=4 , Amazon MP3, CD Baby and other online retailers. 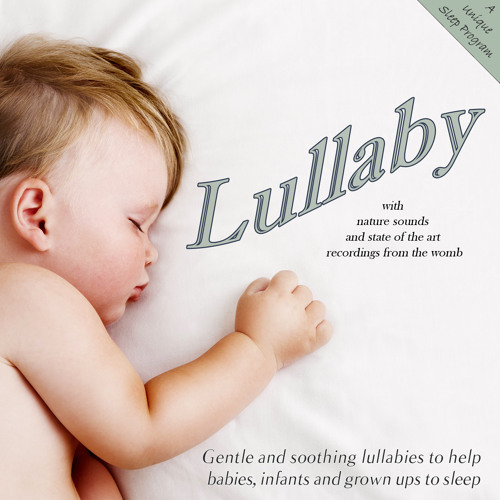 Album: "Lullaby" Label: Baby Bear Records Released: September 2012 "Lullaby" is a CD of gentle and soothing lullabies to help babies, infants and grownups to sleep. Use of this album every bedtime forms a unique sleep program - engaging yet relaxing songs at the start of the album captivate baby and help them to begin to relax. As the album progresses, tracks become ever more gentle and dreamy to slowly lull them into a state of deep relaxation. The beautiful sounds of nature accompany the tracks to provide a soothing backdrop to the instrumentation, and later in the album, music is combined with state of the art recordings from the womb - a sound baby will find deeply comforting to hear. Stunningly recorded and arranged by award winning composer Charles Mathews and Rachel Staley, "Lullaby" is the perfect start to a life of good sleep.